What Is the Best Clarity of a Diamond? Anyone who’s ever shopped for diamonds has heard of the “four Cs” – cut, color, carat and clarity, and jewelers and shoppers can determine a diamond’s value based on the stone’s ranking in each of these qualities. But what do these rankings mean? And more importantly, how can you use them to get the best possible diamond? To find the diamond you’ve been dreaming of, let’s take a look at one of these “Cs” in more depth: clarity. Diamond clarity refers to how clear a diamond appears. Diamonds form when carbon in the earth endures immense pressure and intense heat for billions of years. In that time, the stone may be subject to any number of pressure changes, heat surges, and other natural occurrences that can cause some bumps and bruises. These blemishes, cracks, or chips are called inclusions—and the fewer your diamond has, the better the quality is considered to be. 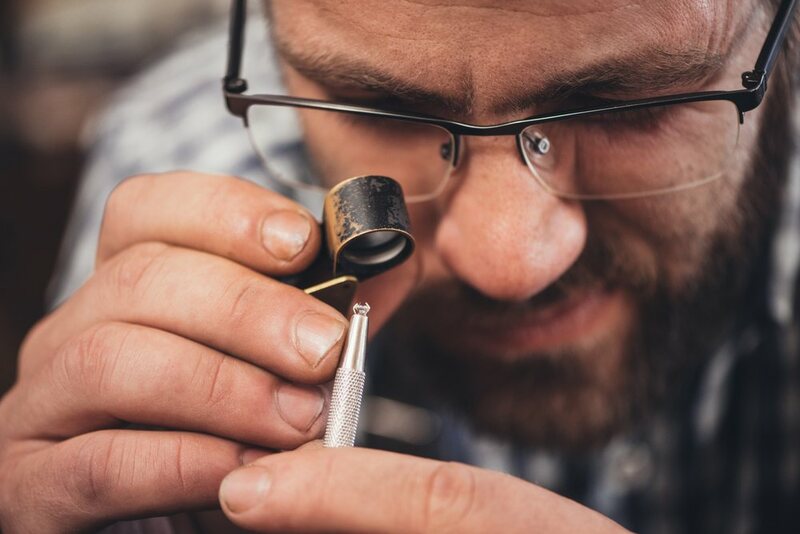 While diamond cutters can try to remove the most obvious inclusions when cutting a diamond into the desired shape, inclusions may be too small, too centralized, or too numerous in the original rough diamond to be removed completely. As a result, the diamonds you see on the market come in a wide range of clarity. The Gemological Institute of America (GIA) developed a ranking system for these diamonds, which helps establish a diamond’s value and allows customers to find the perfect stone. F (Flawless): A diamond that has no inclusions or blemishes. IF (Internally Flawless): A diamond that has no inclusions on the inner facets, though there may be minor external blemishes. VVS (Very Very Slightly Included): A diamond that contains minor inclusions, which are difficult to see under 10x magnification and impossible to see with the naked eye. This ranking also breaks down into VVS1 and VVS2, depending on the number or placement of the inclusions. VS (Very Slightly Included): A diamond that contains minor inclusions like clouds or feathers, which are slightly difficult to find under 10x magnification and hard to see with the naked eye. This ranking also breaks down into VS1 and VS2. SI (Slightly Included): A diamond with noticeable inclusions under 10x magnification. This ranking breaks down into SI1, SI2, and SI3. The inclusions in the lower divisions may be visible to the naked eye. I (Included): A diamond with very noticeable inclusions, which can be seen without the aid of magnification. This ranking breaks down into I1, I2, and I3. 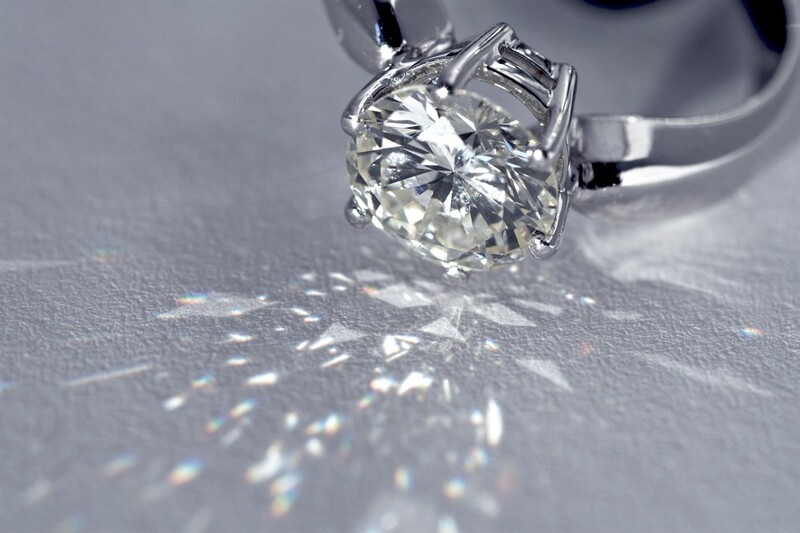 Most (if not all) customers initially seek out diamonds with a high clarity ranking. Clear diamonds tend to be brighter and possess more fire, which makes them the ideal choice for a necklace, ring, or pair of earrings. 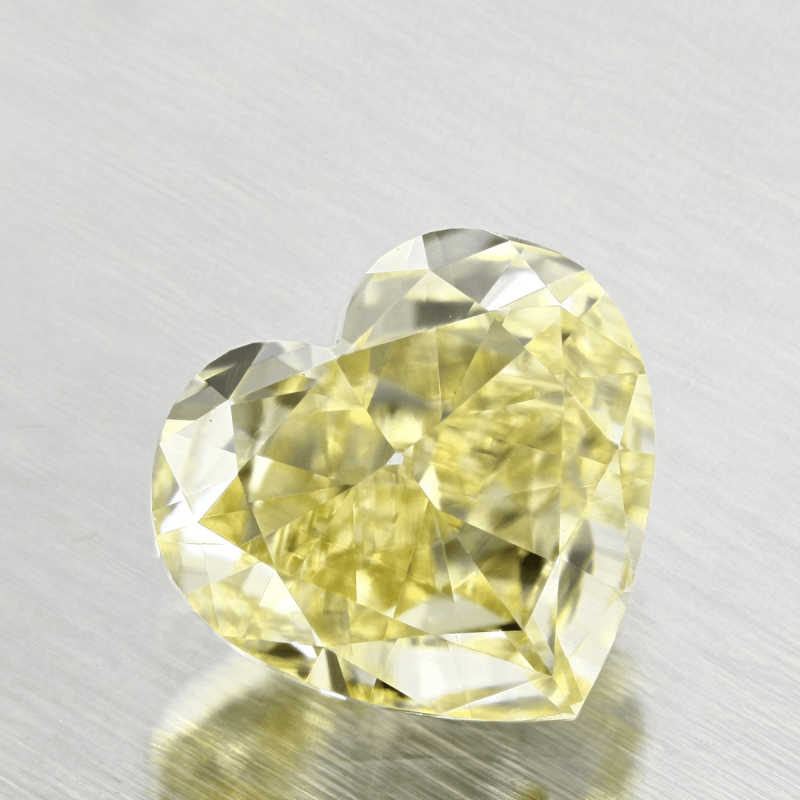 There are also certain cuts (“fancy cuts” like emerald, marquise, or heart-shaped diamonds) that require high clarity levels in order to be their best as they can show inclusions easily due to their faceting structures. However, flawless and internally flawless diamonds are exceptionally rare, and that, more than anything, is what makes them very expensive. Most big box jewelry stores sell diamonds with the most common clarity rating, which is the included (I) range. The lighting in the stores is specially designed to make the diamonds shine and mask the effect of these inclusions, so the most common complaint from people who buy from these stores is, “The diamond looked dull from the moment we left the store.” When you take these two extremes into account, the best value for most shoppers is instead to purchase SI, or slightly included, diamonds. 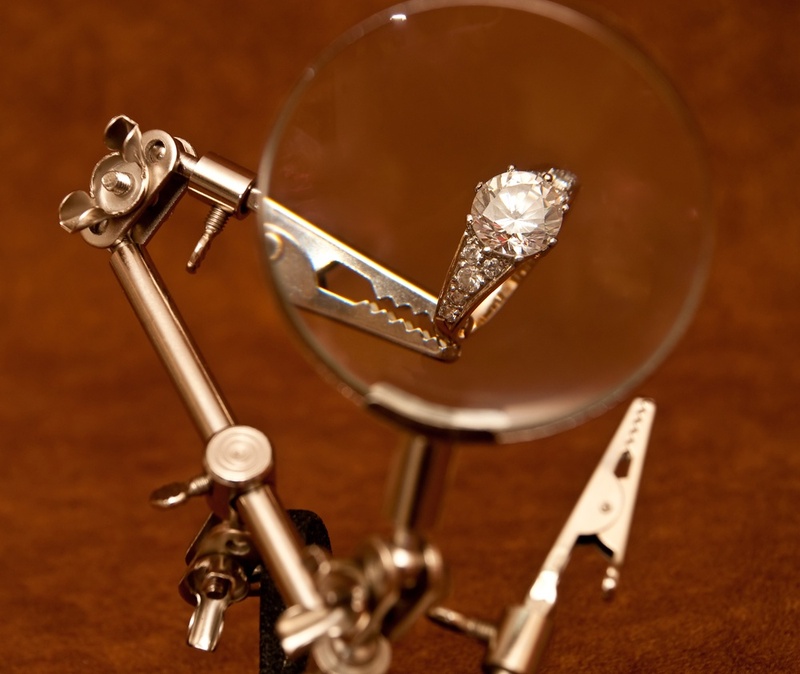 If you are buying an SI diamond, it is important that you inspect the stone for something known as eye cleanliness. Eye cleanliness refers to how visible inclusions or blemishes are when viewed with the naked eye. Inclusions and blemishes come in many types, and the size and number aren’t the only things that matter. They can be black or white, with white being less visible to the naked eye, and some types are easier to spot than others, like a crystal inclusion compared to a pinpoint inclusion. In some cases, a stone may actually appear more included than it is—an unfortunate result of light projecting the reflection of an inclusion on other facets. Some argue that eye cleanliness is actually most important characteristic of clarity; after all, an SI3 that looks eye clean is more visually appealing than an SI1 with an inclusion that is reflected across every angle. Of course, when it comes to any of the four Cs, the final decision depends on your budget, your personal taste, and the person you’re buying for. For example, men tend to prefer higher clarity diamonds than women, and some religious practices require diamonds worn in jewelry to be high clarity in order to symbolize purity. But if high clarity isn’t a requirement, a modest budget can land you a much larger diamond by getting an SI stone. Most jewelers (Brilliance.com included) offer their customers diamonds of all clarity types. This way, a buyer on any budget and with any look in mind can find exactly what they’re looking for. The GIA scale is a great starting point, but don’t be afraid to examine the diamond yourself! Look at it from different angles and (if the jeweler lets you) in different types of lighting. The ultimate point of diamond buying is that nothing speaks louder than the way the diamond looks to you – the person who is buying it. You just might find that the perfect stone for you has a clarity grade you never even considered.